-Powers, curses and mystery-what's not to love? -I feel like the last blogger who hasn't read this one and Michelle is an awesome word ninja! -The Clique series flies off my library shelves, so it's great to have another series to recommend. Plus, you know me and books with pink on the cover-can't resist! 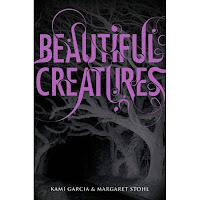 -Love the title and I think this could be a must read book for tweens! -I really hope I can find this one!! I hope BEA left us librarians some copies! -I love this cover and the title, and it's got romance, which I'm always up for! Ohhh I'd love a copy of Prophecy of the Sisters. Its Victorian, its Gothic and it takes place in Upstate NY. You are going to get SO MANY BOOKS- I'm warning you! Like bring an empty suitcase! or TWO! ALA is super fun but sort of intense! You think we'll be lucky and find those? I already have Beautiful Creatures at home, but I'm crossing my fingers on Catching Fire. Can't wait for the exhibits on Saturday the 11th! And btw.. I think you CANNOT bring a suitcase, but when I was there, places were giving free bags too at booths, so you should probably be okay. Wanna bring doubles for me? As a fellow librarian you should hook me up :) No, huh? Well I thought I'd give it a go. Oo Scones and Sensibility looks cute! Good luck with all of those and more! 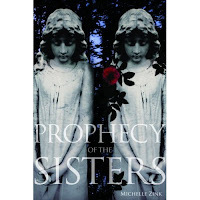 I'm really looking forward to Prophecy of the Sisters because it turns away from the twins who are inseparable plot. I would LOVE a copy of both Catching Fire and Scones and Sensibility. Good luck! Hope you get lots of great ARCs. So jealous of you going to ALA!! Have a blast and get lots of books!! That's awesome you're going to ALA though. I might be with Chelsea (the page flipper) but I'm not SURE yet, so I'll let you know. I hope you get all the books you want.